“All I know is that this must stop, this divisiveness between our police and our citizens,” said Chief Brown, who is black. 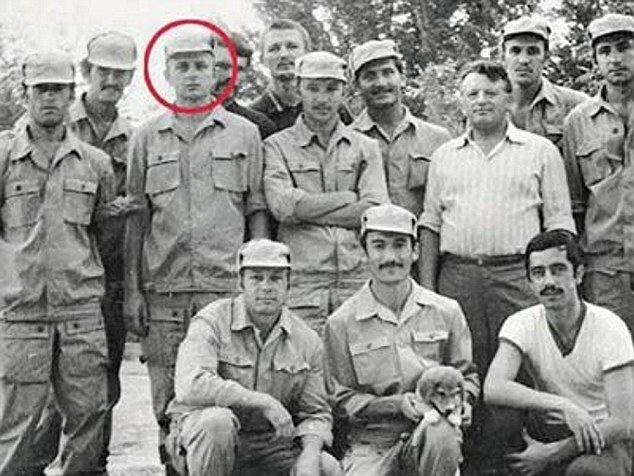 The man in civilian clothes, standing third from right looks very much like GRU Gen. Yuriy Gusev (former chief of staff of the Turkestan military district, one of the influential leaders of the GRU in the late 1980-s, and probably one of the chief architects of Afghan war and operational-spiritual father of the Far West LLC) - see The origins of the "Far West" group. The man, sitting, first from the left, looks like Kosyakov, a chief of Far West in the early 1990-s. The man on the far left, the first, looks like Filin, the man in a center, to the right of Poteyev, looks like Surikov; and the man sitting in the center, with the dog, looks like Ruslan Saidov. "The ex-FSB head suggested waiting until an official confirmation of the reasons for Poteyev’s death by the US side. “I think an autopsy should certainly be performed and official cause of death announced,” he said." M.N. : How did RT learn about Poteyev's death in the absence of "official confirmation"? "Should Poteyev’s death be confirmed, it will undoubtedly draw suspicion as to whether or not he was assassinated by Russian intelligence. His death would not be the first time Russia has assassinated defectors. The poisoning of former FSB officer Alexander Litvinenko with highly radioactive polonium-210 in 2006 made international headlines, with many blaming the Kremlin for his death. More recently, the suspicious death of Mikhail Lesin, a former Russian cabinet minister, has led to many blaming Russian intelligence. Lesin was found dead in his Dupont Circle Hotel room on November 5 of last year, with the Washington D.C. medical examiner citing blunt force trauma to the head as the cause of death. Officials have yet to determine whether or not the death was criminal in nature." 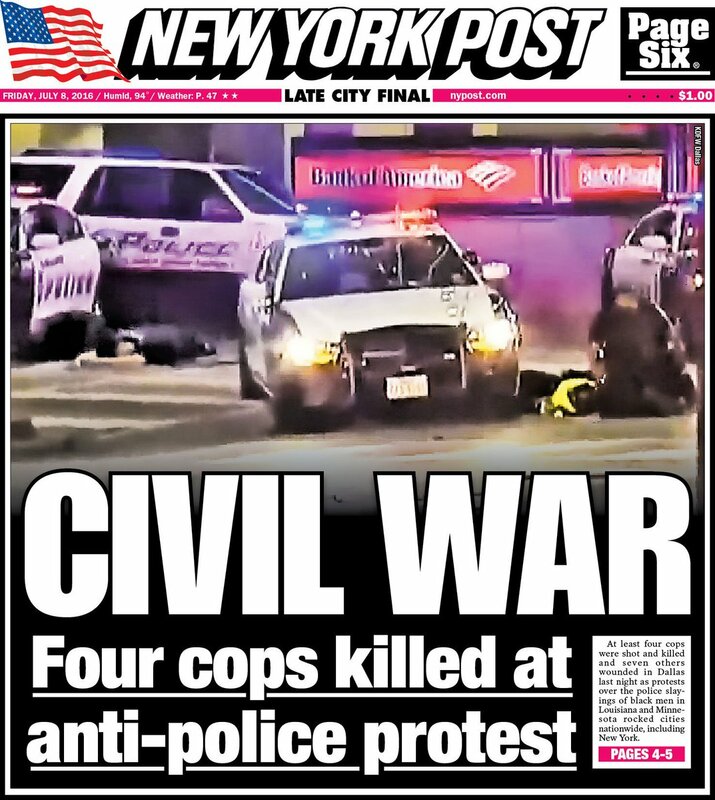 "Barack Obama condemned the killings as “a vicious, calculated and despicable attack on law enforcement”. Speaking in Warsaw where he is attending a two-day Nato summit, the US president again called for gun control. “When people are armed with powerful weapons unfortunately it makes attacks like these more deadly and more tragic,” he said. Three people have been detained by police: a woman who was stopped close to the garage, plus two people who were stopped in a dark Mercedes. An armed standoff with a fourth suspect on a second-floor parking lot close to El Centro college, ended after local reports that the suspect killed himself. The suspect was said to have fired at police and claimed to have placed bombs in the city."